Antoinette’s new menu for 2018 scores again with its savoury dishes. Dining at Antoinette is always a very pleasant affair. In this Instagram era where F&B’s pop-up and close down as fast as you can count, Antoinette gives you the feeling that it is here to stay. I’ve personally visited at least 10 or so times over the last few years? 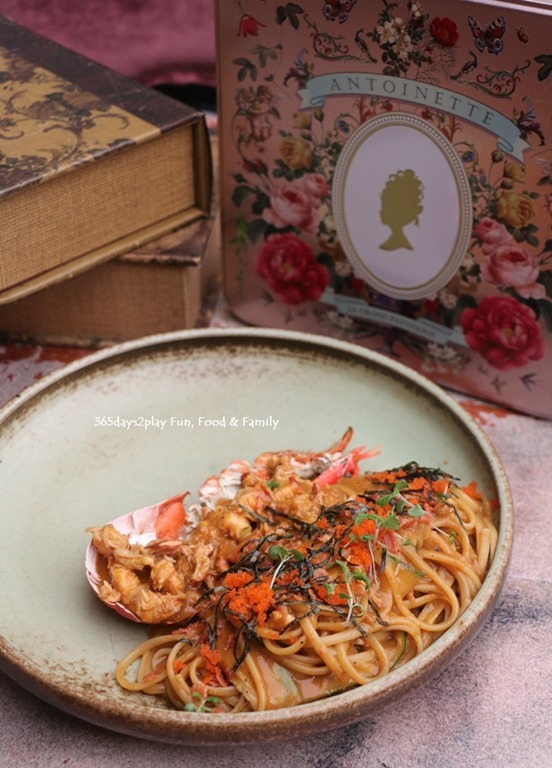 What amazes me is that Chef-Owner Pang Kok Keong seems to show no limits when it comes to introducing new dishes to his menu. 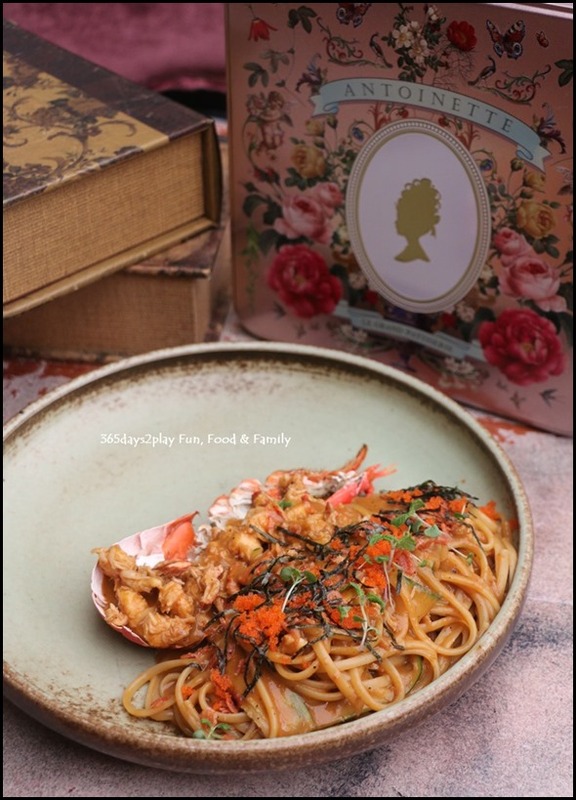 All restaurants have to do that from time to time, but Chef Pang comes up with numerous dishes that are not only pretty to the eye (or camera), but taste good as well. Simply put, these are dishes I would return again to have. This time round, I thought the new appetisers and main dishes stood out. My favourites from this lot has got to be the double prawn linguine, the wagyu beef tagliatelle, the baked rigatoni and the black bait. I’m quite sad to see last year’s Hakka inspired dishes go, but at least we have these new ones to look forward to. The Fabulous Baker Boy Cafe revamped! 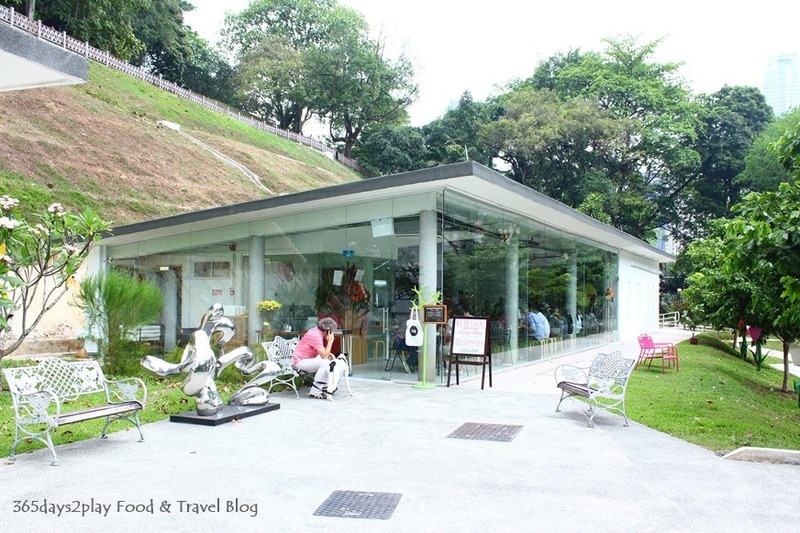 The Fabulous Baker Boy cafe at the foothills of Fort Canning Park has gone through a renovation and is now more comfortable than ever before because it is now TOTALLY AIR-CONDITIONED! I visited once several months back prior to the renovation and despite the cafe looking really nice and like a place I would want to spend my time chilling out in, chilling out was the last thing on my mind due to the sweltering heat. This time round, when I visited with my colleagues, it was a much more pleasant experience, with us being able to look out into the gardens and to enjoy the views minus the heat. 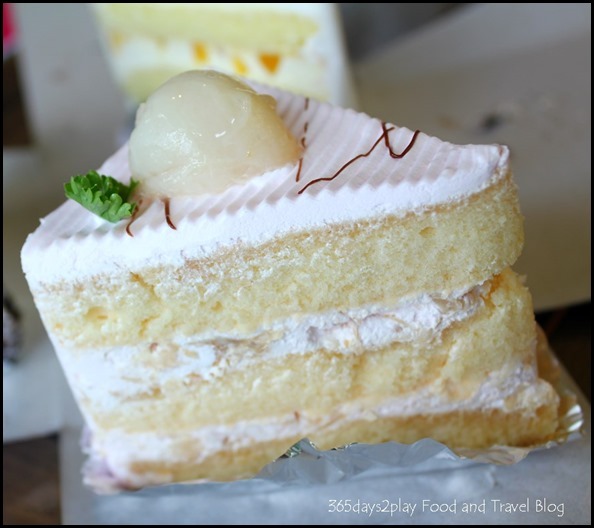 The Fabulous Baker Boy cafe is one of those cafes which I would consider to be all-rounded cafe, meaning they’re good at cakes, coffee and food! 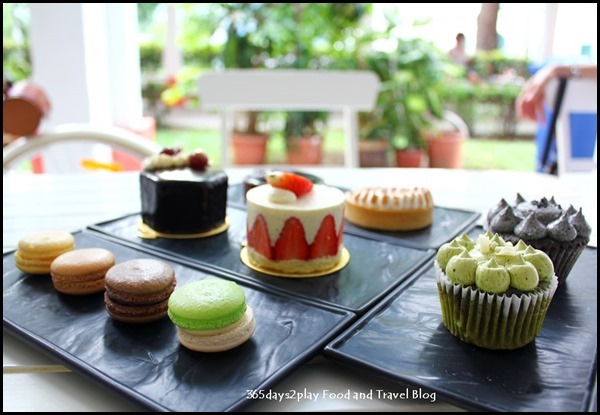 You can’t run away from the baked goods here, it’s quite obvious from the name of the cafe wouldn’t you agree? I had the opportunity to catch a glimpse of Chef-Owner Juwanda assembling his cakes together, and I could sense a serenity and contentment in him as his fingers deftly put together pieces of sponge and cream into the finished cakes. Quite different from when I’m trying to ice my cakes, I can tell you that. Cake cake cake cake cake galore! I couldn’t decide on which irresistible cake photo to put up first so I decided to put up a group shot first! 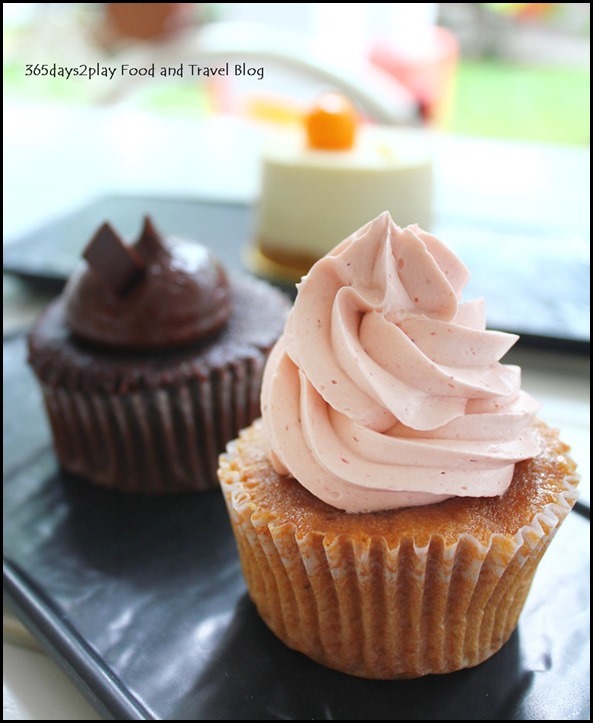 And that is the dilemma you will face when you step into The Audacious Cakery! All of the cakes look so exquisite and mouth watering! It was lucky we got the opportunity to sample it all, or I should have a hard time choosing. 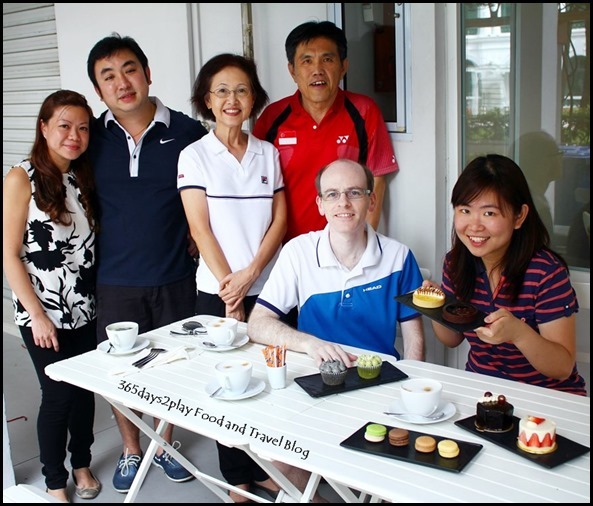 There’s Sharryl Ng, co-founder and Executive Pastry Chef of The Audacious Cakery and her husband on the left of the photo. I love meeting people who have great passion for the food that they create. When food, or cakes in this case, are made with love, short cuts and mediocre ingredients are not used in the name of profits. I could never imagine myself selling stuff I didn’t believe in. freshness, a limited quantity of each product is produced each day. The Audacious Cakery has 4 main offerings, ie Cakes, Cupcakes, Tarts and Macarons. Strawberry cupcake with strawberry Italian meringue buttercream $3.50 in the foreground and Chocolate cupcake with Valrhona chocolate cream cheese frosting $4 in the background. 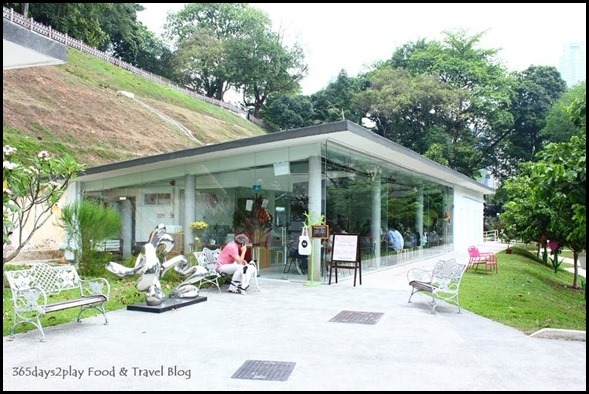 Wanted to go to Grub at Bishan – Ang Mo Kio Park last week, but we arrived at 2.10 and were promptly told that the restaurant closes in the afternoon from 2.30 – 5pm!! We twirled around the area a bit, found a place for lunch where I managed to find a stall selling Kuay Chap for only $3.50. 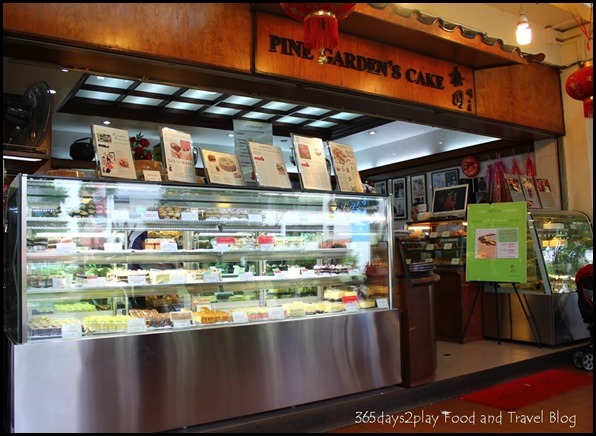 Some how ended up in the Ang Mo Kio area and spied Pine Garden Cake Shop. I’ve never known the existence of Pine Garden Cake Shop until last year and I was quite surprised to find that the cake shop gets quite a following thanks to the nostalgic cakes that it sells. 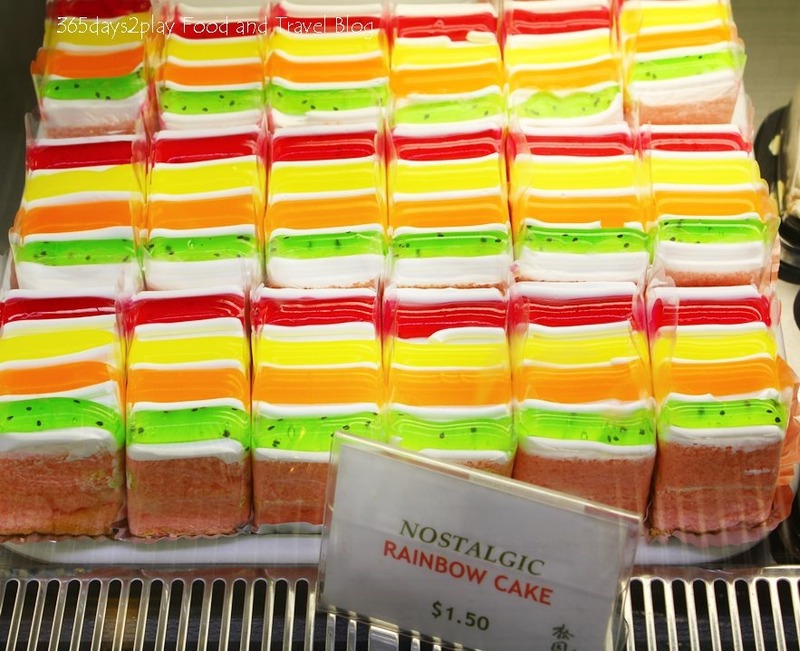 I have no idea whether the cakes that they sell are exactly the same as what they used to sell years ago. 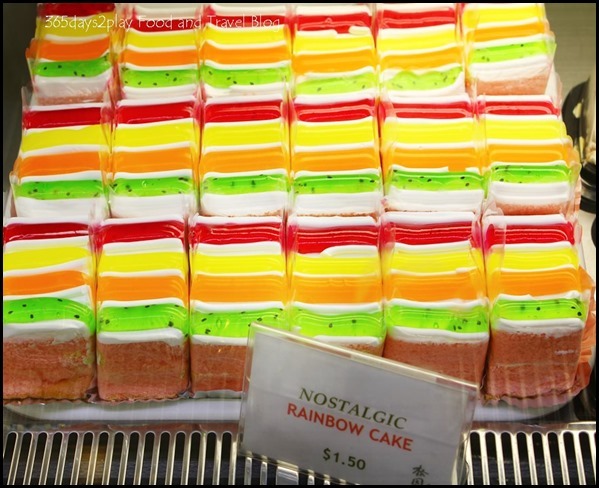 Actually, I think the cake flavours are pretty modern, even if the cakes themselves are decorated and creamed like in yesteryear. What’s for sure is that the cakes sure are darn cheap! 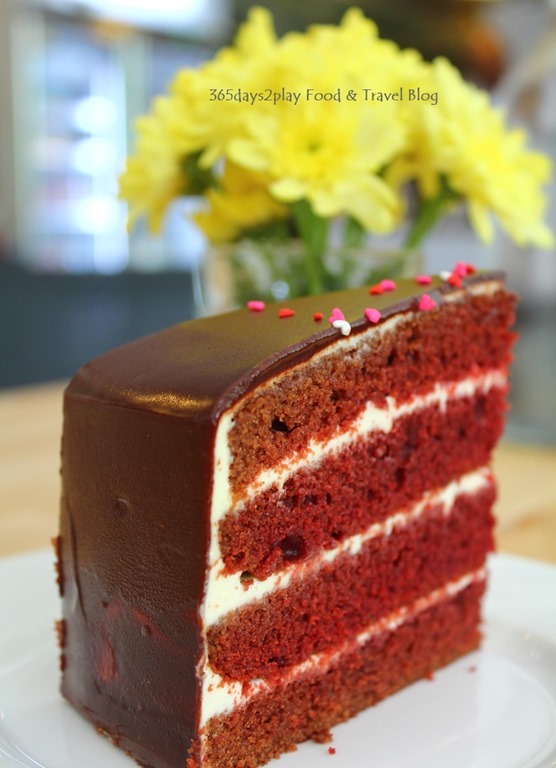 Each slice of cake is around $1.30 – $2.50. 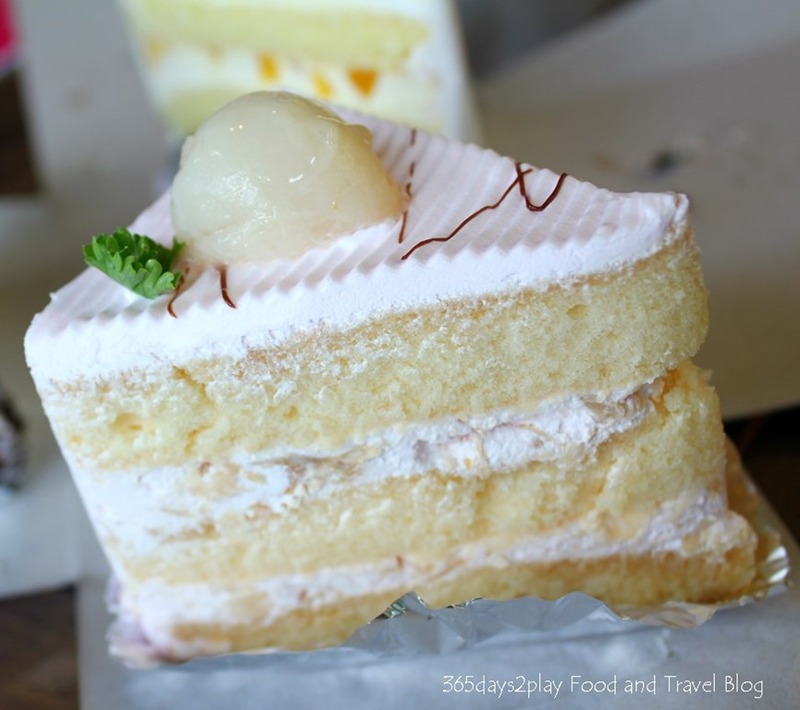 In an era where cafes are charging double digit for their cakes, it’s nice to be able to indulge in cheap cakes without robbing the bank. 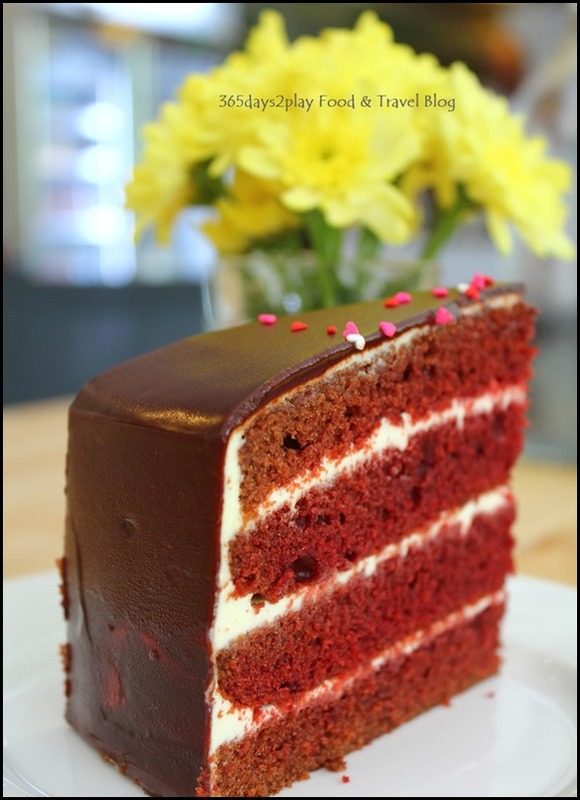 What’s better is that you can have several slices if you can’t make up your mind. Is that having your cake and eating it or what?